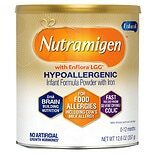 Shop Enfamil Nutramigen Powder for Colic (12.6 oz. )12.6 oz. $3199$31 and 99 cents$0.37 / oz. 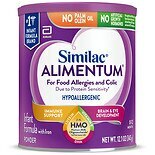 Shop Similac Alimentum Hypoallergenic For Food Allergies & Colic Infant Formula with Iron (12.1 oz. )12.1 oz. $3099$30 and 99 cents$2.56 / oz. 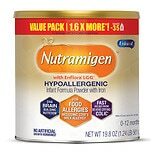 Shop Enfamil Nutramigen Lipil for Colic Hypo-Allergenic Powder with Iron, 0-12 months (19.8 oz. )19.8 oz. $4599$45 and 99 cents$2.32 / oz.